I was just taking a look at some of our travel/backyard adventure goals for the summer, and realized we're doing pretty good checking some of them off the list. (And having lots of fun in the process, of course.) 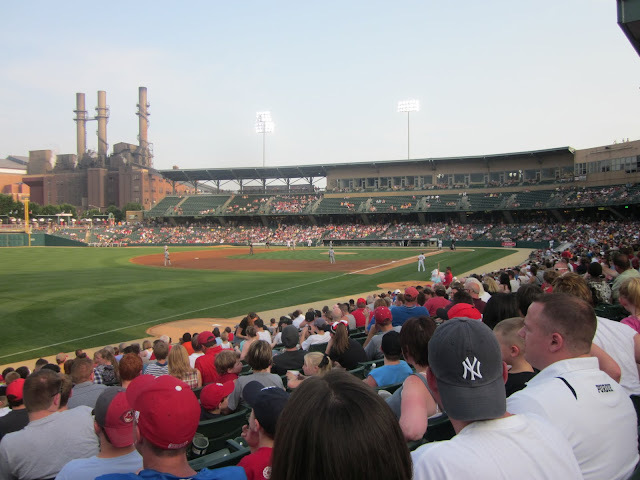 One highlight was an evening Indianapolis Indians game at beautiful Victory Field in downtown Indianapolis. Minor league games are perfect for young kids. Ticket and concession prices are so much more reasonable than the Big Leagues (and your kids don't know the difference anyway). They get introduced to the culture of a big sporting event. And many of these ballparks have great areas for little ones to run around. The arrow loves the lawn at Victory Field. The Minor League season is wrapping up in the next few weeks in cities and towns all over America. I wrote about the Hoosier baseball teams' remaining home games for Visit Indiana this week. Catch 'em while you can! Schedule of remaining home games is available here. Lawn seats are just $9 for adults. If you live in the area and plan to attend more than one game, sign your kids up for the Knot Hole Club. For $15, their lawn seat is always free and they'll get a few other goodies too. They can even run the bases after Sunday games. If you sit in the lawn, pack a cooler. Coolers under 20 inches in length can be stuffed with food and non-alcoholic drinks, creating a great money-saver for families. Monday games feature $1 concessions: hot dogs, Cracker Jacks, popcorn, chips and peanuts are only a buck. What a deal! Love the cost, ease, ans accessibility of these minor league games! We root for the Hudson Valley Renegades! Looks like a fun time for the whole family! We love visiting baseball stadiums of all kinds and minor league games are fantastic. I love that baseball is so family oriented but I have found the activities, freebies, and excitement of a minor league game far surpasses that of the major league games (at least right now while my kids are still young enough to not care who is on the field!). We are getting a team here this next baseball season - the Pensacola Blue Wahoos - and we can't wait! Although ballpark food is my biggest reason to go to baseball games, I really appreciate that Victory has cheap lawn seats and you can bring a picnic. That saves a ton of cash, is much healthier and so much fun for everyone. I'll be looking into what we can do at our own local minor league ball field ASAP. 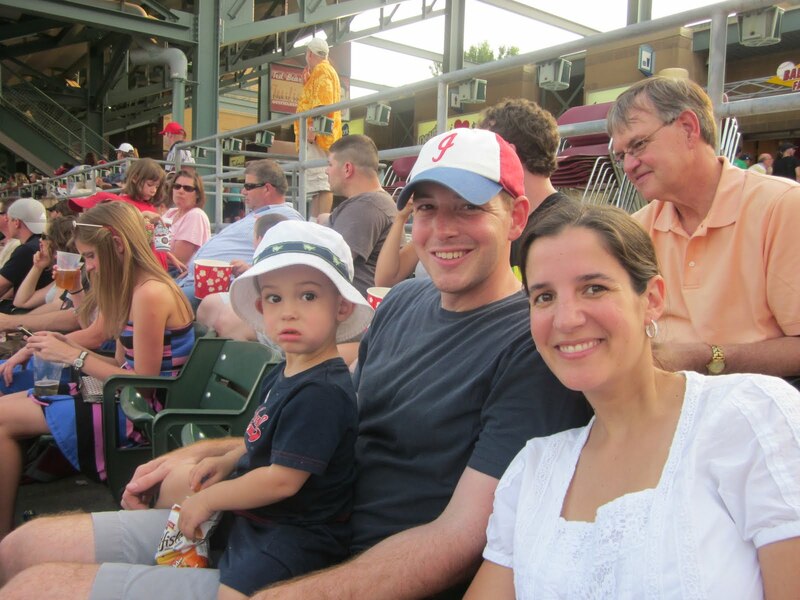 We love minor league baseball games too! And it helps that the minor league teams always seem to have the craziest mascots. We had so much fun getting a picture of E. with Henry the Puffy Taco and Balapeno here in San Antonio! Good insider tips! I'm going to forward them to my girlfriend who is a baseball fanatic and will travel anywhere to see a game.